The year is buzzing along and one of my goals this year (let’s not mention the intention to write two blog posts a month, shall we?) 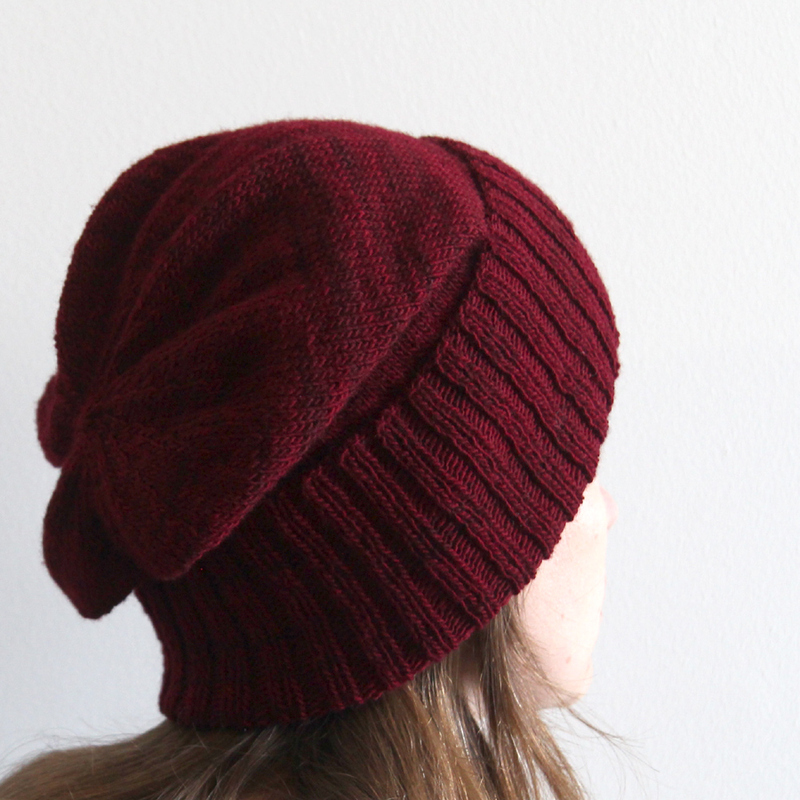 was to publish my first pattern on Ravelry and I’m excited to say that I’ve done it! 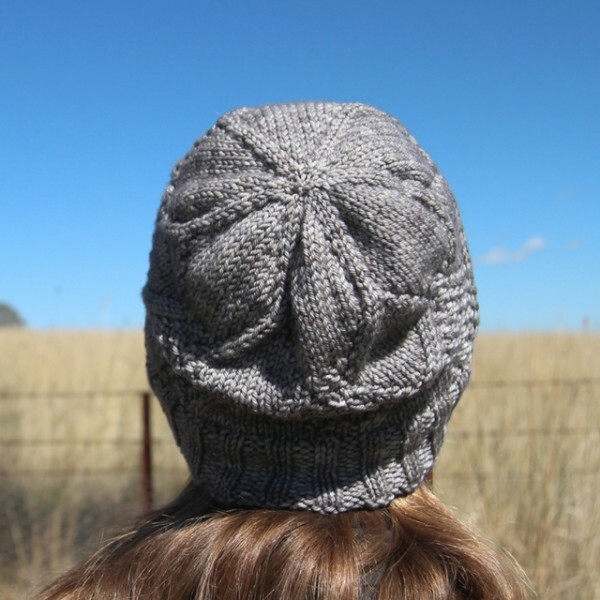 This is a gently slouchy hat with diamond motifs knit from the top down with a folded brim. It has a few tricky techniques in it to make for an interesting project! 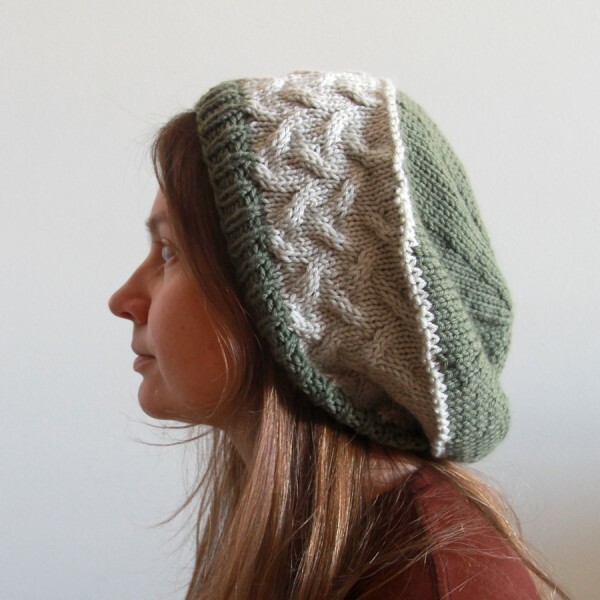 In celebration of releasing my first pattern, Windshield is currently free on Ravelry. I hope you enjoy it! 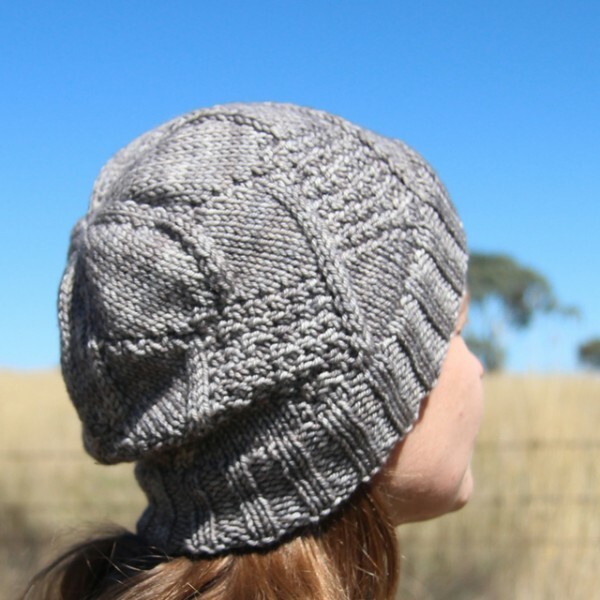 I’ve been meaning to cast on a Sockhead Hat for a while and, with the weather cooling off here in Sydney, and my new found love of Atelier Yarn‘s Pinnacle Merino Singles, I cast on for the simple but soothing project. It was an easy project with a long stretch of ribbing and then lots and lots of stockinette in the round before basic decreases for the crown. It gave me a chance to practice knitting-without-looking which is something I plan to master this year. Anyway, keen to continue cabling practice, I checked out a few of the patterns and decided on one called Lokki (which translates as “seagull”) that looked suitable for a few balls of Debbis Bliss Cashmerino Aran I had waiting to be used. 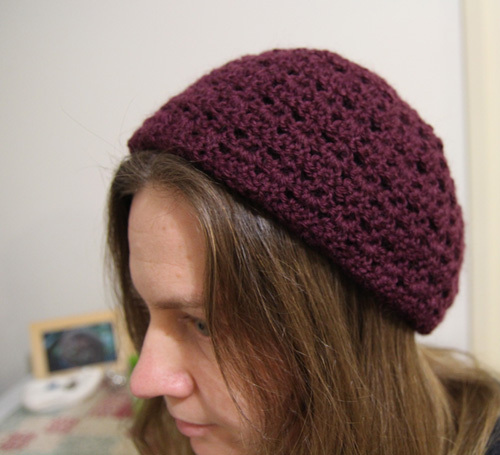 I read reviews on Ravelry suggesting that some people found even the large size too small so I began with that and tried it on my head as I went. It was feeling large but it was hard to judge how large it would be. I finished it up and … oh boy … it’s massive! 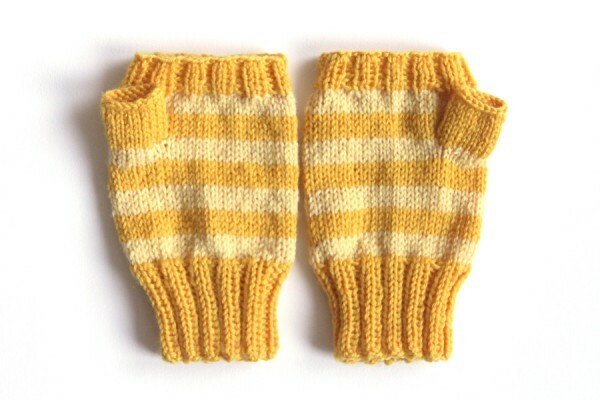 Sticking with my current obsession with stripes and double pointed needles, I decided to work up some fingerless mittens. I didn’t put much planning in and unfortunately I paid the price. I looked for a pattern online with roughly the same type of yarn and used their stitch counts and general approach but I didn’t check the hand size they were aiming for and I didn’t knit a gauge swatch (oops). My own wrist is very thin and I have a long palm and hands. 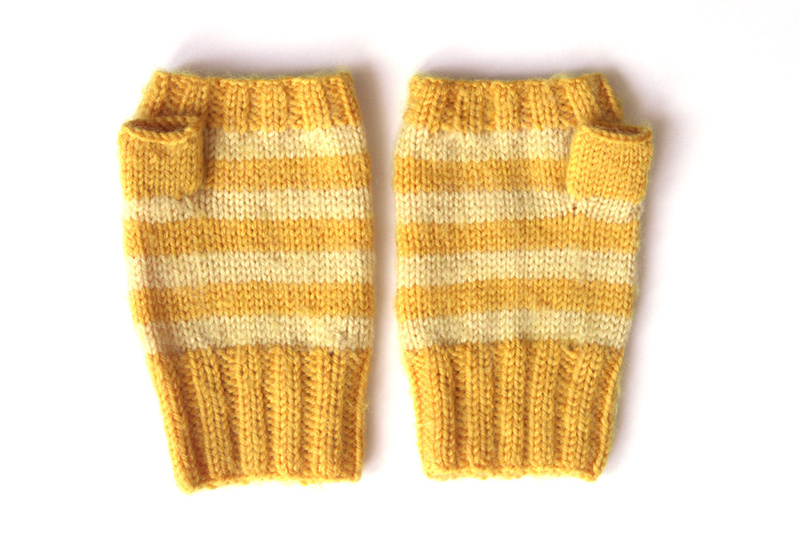 I tried the first mitten on as I was making it. I could see that it wasn’t looking quite right and I made a few adjustment because I was keen on the stripes and trying out the yarn. When the first mitten was done it floated around on my hand! I tried it on a friend’s hand and she also found it awkwardly proportioned. Oh dear. Perhaps I could shrink and felt them, I thought, so I made the second one anyway. The pair of mittens after attempted felting.